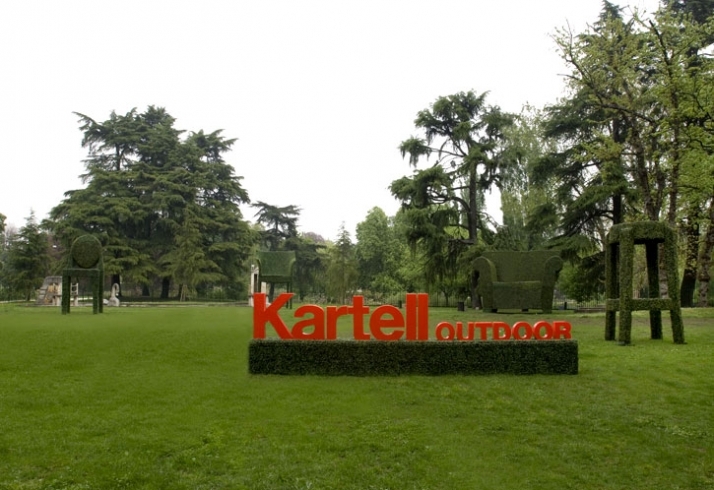 The Kartell product range, adaptable for use in gardens, on terraces, around swimming pools and in outdoor areas of public premises and cafés, was presented in the lush green Triennale Gardens in Milan, the ideal setting for a highly striking display destined to steal the limelight. 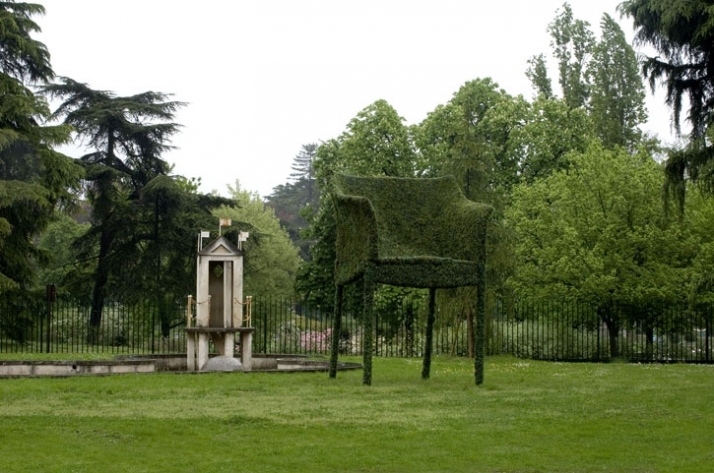 The stars of the magical gardens of the Triennale were seven “totems”, gigantic topiary sculptures, up to four metres high, depicting a selection of the most emblematic “Kartell Outdoor” products. 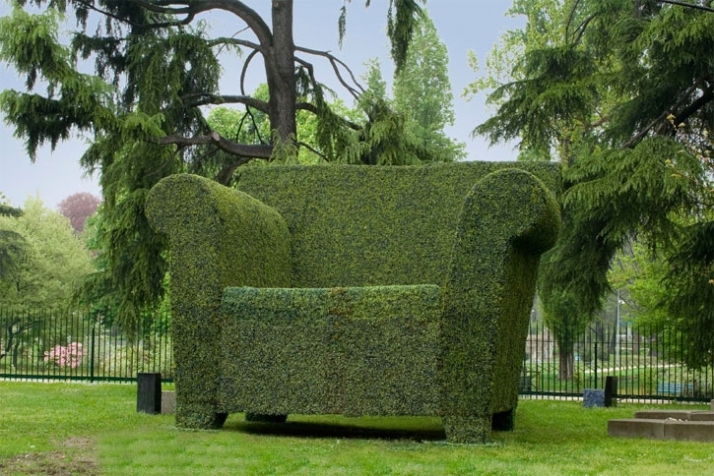 The collection was arranged around these centrepieces, creating an evocative array of volumes, shapes and lights.